If you are a reader from Philly you are familiar with The Prince Music Theater on Chestnut street, which is also a great screening venue. Earlier this summer, it was announced the theater was running under all new management (I like the new rug in the lobby) 2 weeks ago they invited press for a presentation of the new PMT and showed a preview screening of Gravity! I do enjoy a lot of Sci-Fi movies, but space, NASA, the international space station, things of that nature, I really don't know much about, other than Larry Hagman as Jeannie's master made a really cute astronaut. Gravity, written and directed by Alfonso Cuarón and co-written with his son Jonás Cuarón, is not Sci-Fi, it's not futuristic, it's an exploration of creative filmmaking, and it seems to me, and like I said I'm no space expert, but pretty darn close to what it would look like if you could actually take a film crew into outer space to shoot a movie. Can you imagine a day when production companies say, we no longer shoot in Toronto to save money, we shoot on planet x? 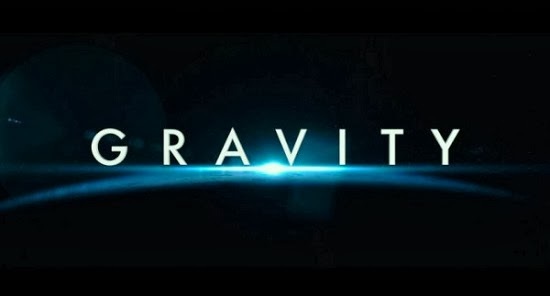 T&T Gravity Synopsis: Ryan Stone (Sandra Bullock) is an engineering expert of some kind, she's not an astronaut, but she has developed some technology that NASA has adopted into their program that's important enough to train Stone so that she can go into space to make this doohicky work. She's up there with a seasoned pro, Astronaut Matt Kowalski (George Clooney) who seems like he's just there to enjoy the view, telling stories to Stone and Mission Control (aka Houston) and using his jet propulsion pack for a little space stroll. Then all of a sudden, they get word space debris is coming their way and they must abandon the mission and get back inside the missile or capsule or rocket, whatever you call it that brought them into space in the first place. Kowalski loses his laid back attitude and snaps into action, demanding Stone stop what she's doing and follow commands - too late, the debris hits and bam! Now comes a series of amazing sequences and shots and one harrowing mishaps after another in space, with a lot of crashing and bumping and grabbing and grasping as the two try to figure out a way to get to saftey, conserve oxygen and not just go drifting off into the unknown. As you've probably heard: Bullock is in every frame and looks amazingly fit. She says she didn't train as an astronaut, but she did a grueling amount of physical training to prepare herself for the demands of this film. 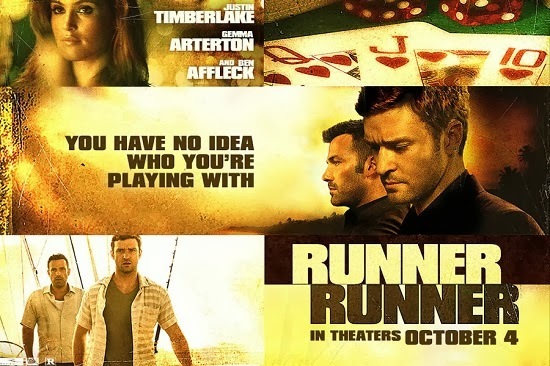 The theme of this movie: is a testament to the human spirit. Here's a woman who after suffering a tragedy has shut down, she's dead inside, the only thing keeping her going is her work; yet when pushed to the ultimate limit finds a survival instinct. What's pleasing to me: well, we've seen Tom Hanks in Castaway, and Suraj Sharma in Life of Pi, there's Ryan Reynolds in Buried, James Franco in 127 Hours and next Robert Redford in All is Lost, and what's wonderfully surprising about these survival movies is that one person's plight and pluck can hold your attention for the better part of 2 hours. I'm still not sure how I feel about Gravity as a movie on the whole, but I am awed by Cuarón's vision and the mastery of his team.